I have checked out various Youtube videos and nothing seems to be working...I went into the file location and changed the ErrorReportClient name to ErrorReportClientx which doesn't work. Then I checked out another video to disable the graphics in Computer Management and I only have one graphics card so that doesn't work...and then finally I checked out another video that has you disable the PRSConfig and that doesn't work either! If anyone knows how to fix this would greatly appreciate it! Have you tried opening up task manager end ending any left behind Vegas processes still running? Also, its possible that the last vegas file you opened is corrupted. Have you tried opening up a old project from the file itself? I opened up task master and not sure what to look for...and I just opened up a couple veg files and I'm still getting the same error message. 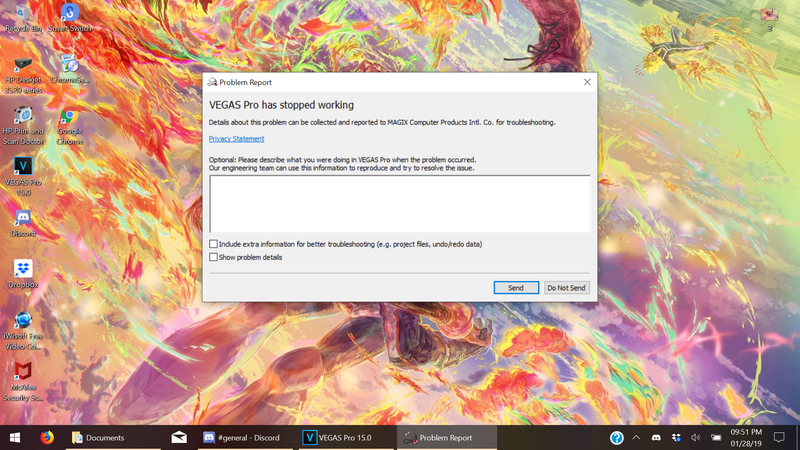 If you open up tsk manager and don't see any apps or background processes that say Vegas Pro, then that's probably not the issue. I'm not sure what else could be the issue. 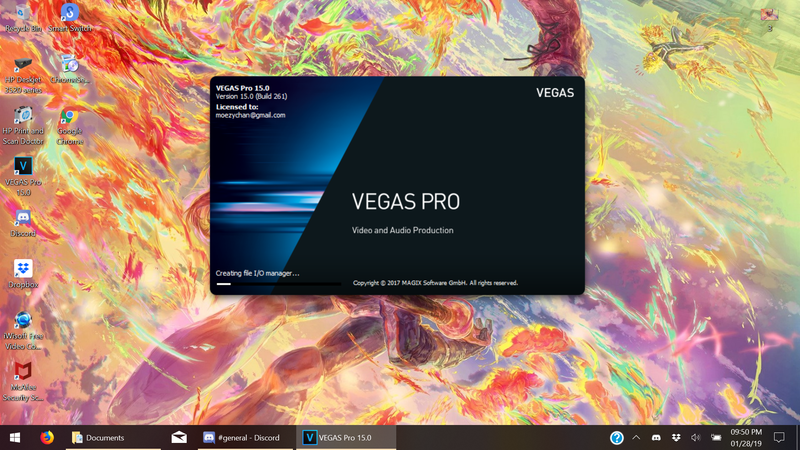 Have you already tried reinstalling Vegas? Thank you everyone for your help! I did a computer reset where I could keep my files but delete all my programs and after reinstalling Vegas it opened!